Summer is here and students are out of school and that means the Lunch Lizard Mobile Meals program is ready to roll. 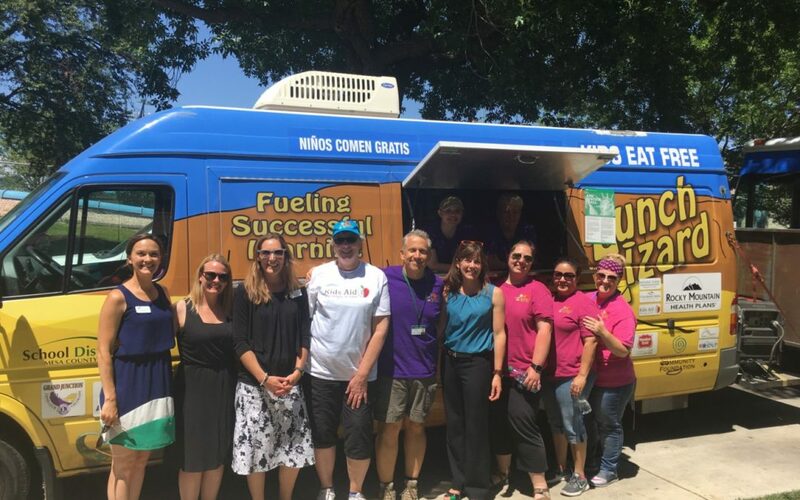 Thanks to the Colorado Department of Education for choosing Grand Junction to kick off the Summer Meals program for the entire state! Thanks to Lindsay Anderson, Executive Director, Kids Aid, Dan Sharp, D51 Director of Nutrition Services, the Lunch Lizard staff and volunteers and many, many community partners for making this such a successful event. Notes Ashley Moen, Summer Meals Program Supervisor for the CDE, “one of the best kick-off events we’ve attended and the turnout from the community speaks to the amazing partnerships you’ve created in order to expand summer meals for kids.” Feeding hungry kids…one neighborhood at a time! For information, Lunch Lizard schedule and more, click here.